I have been using Essiac tea for more than a decade now, although not for cancer treatment. I was initially introduced to Essiac tea benefits to treat endometriosis—a painful disorder of the uterus lining. And later found out that it is an excellent herbal tea for cancer treatment, and so much more! Essiac is the name of the founder spelled backwards. Rene Caisse (pronounced “reen case“) was a Canadian nurse who discovered a natural herbal formula that comprised four powerful herbs. In 1922, Caisse had learned of these herbs from a woman who recovered from breast cancer. This woman shared that an old medicine man (from the Ojibwa Group People) had healed her using some herbs that he had taught her how to brew. Two years later, Caisse’s aunt developed stomach and liver cancer and the doctors had given her only six months left to live. Caisse administered the herbal tea treatment and her aunt lived another 21 years with no recurrence of cancer. Caisse and her aunt’s physician, Dr R.O. Fisher had then gotten together to experiment the herbal treatment further. 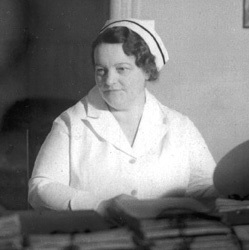 Caisse gave up her nursing career and devoted all her time to Essiac research. Although there were many stumbling blocks and opposition from mainstream medicine, they had since healed thousands more seriously-ill cancer patients and various other diseases. In 1959, Caisse met Dr Charles Brusch, John F. Kennedy’s personal physician. It’s a long story here with Dr Brusch, but to cut the story short … Later in life, Dr Brusch developed cancer and cured it with Essiac. Together, Rene Caisse and Dr Brusch has perfected this powerful, natural cancer treatment, called the Brusch-Essiac Tea. You can read more about the history of Rene Caisse and how to consume Essiac Tea in this book. Since the 1980s, other companies have tried to duplicate the formula, marketing them as either identical, similar or improved. Although they don’t claim to treat or cure diseases, consumers who self-treat themselves with these various formulas have recovered from many serious health ailments. While the basic components of this herbal tea are well known, the exact proportions of the herbs per Caisse’s original formula are largely not known. Be concerned, however, with the quality of the herbs and ensure that they are processed and marketed by responsible establishments. The Essiac herbal blends (whether 4, 6 or 8 ingredients) have generally been reported to be beneficial for normalizing the body systems by cleansing the blood, purging toxins buildup, promoting cell repair, preventing cell mutation, and aiding in assimilation of the medicinal properties. The original Essiac mixture consists of four ingredients: burdock root, sheep sorrel, slippery elm and Turkey (or Indian) rhubarb root. The Brusch-Essiac Tea (improved) formula blend are composed of the same four herbs, plus four additional ingredients: watercress, blessed thistle, red clover and kelp. This formula was then entrusted to a nurse, Elaine Alexander—a health researcher—who produced Flor Essence. Let’s take a closer look at each one of the ingredients used in this powerful herbal blend. Other names: Beggar’s buttons, clotbur, cocklebur, hardock, turkey burseed, gobo root. Other names: Dog-eared sorrel, field sorrel, red top sorrel. Other names: Red elm, moose elm, Indian elm. Watercress is bitter and used to improve appetite and digestion. It is great for detoxifying the lungs and relieve conditions such as asthma, cough and bronchitis. One of the key compounds in watercress is a substance called rhein that retards the growth of harmful bacteria, yeasts and parasites in the intestines. Blessed thistle is often used by natural healers for detoxifying and supporting the gallbladder, lungs, kidneys, liver and the reproductive system. It helps to combat conditions such as jaundice, hepatitis, arthritis, respiratory problems, menstrual disorders, infections and many more! Red clover is one of the richest sources of isoflavones that are known for their effectiveness in treating some forms fo cancer. Isoflavones prevent cell mutation and retard or destroy cancer cells. Kelp is a sea vegetable that is a rich source of iodine, essential for healthy thyroid functions. It helps to normalize metabolism in cells, increase energy levels. Iodine is an important ingredient that many people are deficient in, and which can lead to many health problems. What Are Essiac Tea Benefits And Conditions It Can Treat? The combination of these four powerful herbs gives a good cleansing to the blood, kidneys, liver, colon and reduces inflammation and tumors. That seems to address many modern diseases and ailments! Essiac Tea is taken orally and on an empty stomach. Nowadays, it comes in various forms: Capsules, soft gels, liquid extract, powder mix, tea blend or tea bags. Of these many forms of the Essiac formula, I tend to favor the powder mix which means there is least processing. The herbs are dried, crushed and pulverized into powder form. You brew this powder and consume all the herb particles, instead of filtering them through tea bags. Get only the original Essiac Tea in powder form >>. It’s a little work to brew the powdered mix, but it can keep refrigerated for up to two weeks, although I recommend to consume within a week. Fill a stainless steel pot (never use any aluminum vessel) with 16 ounces (about ½ liter) of distilled water (preferred) or spring water. Put on stove to boil. Add in 2 ounces of Essiac blend powder into the boiling water, turn down heat to simmer and cover with lid. Simmer for about 10-15 minutes, stirring occasionally, then remove from heat. Let sit with lid on, overnight (for 12 hours) at room temperature. Stir the tea and funnel the brewed tea into air-tight glass jars/bottles. Do not use plastic containers. Refrigerate and consume within 1-2 weeks. Shake up the jar as the powder may have settled to the bottom. Pour out about 3 ounces of the brewed tea into a cup, and add 3 ounces of distilled water (or spring water). Stir and drink. You can also drink the brewed tea without adding water but it is bitter. It is recommended to drink Essiac tea on an empty stomach, about 30 minutes before food, or at least 2 hours after food. For maintenance and minor ailments: Drink 2 ounces of tea twice a day. There is no side effects from taking Essiac tea. You may drink the tea daily until your test results return to normal and your health is completely restored. You may then decide if you want to continue a maintenance dose of 3 ounces daily. No matter how good this tea is said to be, it is not for everyone. Initial consumption may cause certain pain and healing reactions in some individuals. Tumors could appear to enlarge before they are broken down. Avoid if you have a brain tumor! Essiac Tea cancer treatment may be effective for newly diagnosed cancer patients who do not have fast-growing cancer that has not spread significantly. 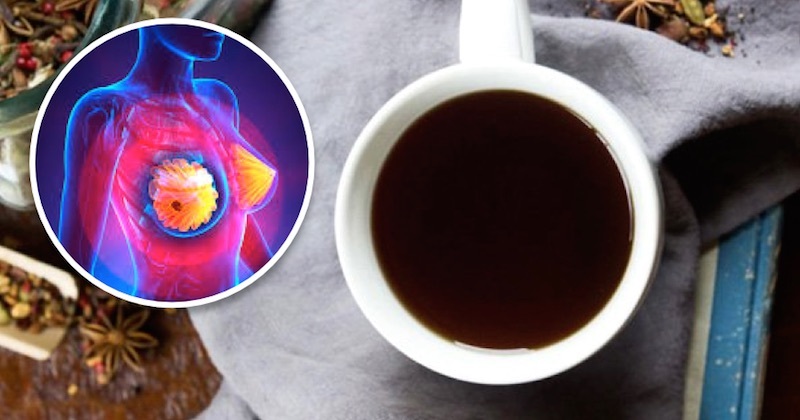 If you are an advanced cancer patient who has gone through chemotherapy, radiation or surgery, Essiac Tea should be consumed only as a supplemental protocol, and not as the primary cancer protocol. If you are on any medications, do check with your doctor before consuming Essiac Tea. Essiac Tea is potent and powerful. It is not recommended to be consumed by women who are trying to conceive, pregnant and nursing. It is also not recommended for children under the age of 12. Did it treat your endometriosis? Yes it did. Not only did it treat the endometriosis I had, it also normalized my menstruation and significantly reduced symptoms. Hi, I have two uterine fibroids and endometriosis. Can we drink the essiac tea daily for long term or should we stop drinking it after a few months? Drink Essiac tea for at least three months, then take a test to see if it has shrunk, continue for another three months if you wish. It will also help if you improved your diet to prevent further fibroids growth. This article might be useful for you: https://juicing-for-health.com/shrink-uterine-fibroids.